Most of my early afternoons in Hong Kong were spent wandering around mindlessly shopping with my cousin, so we were often left to find our own lunch. 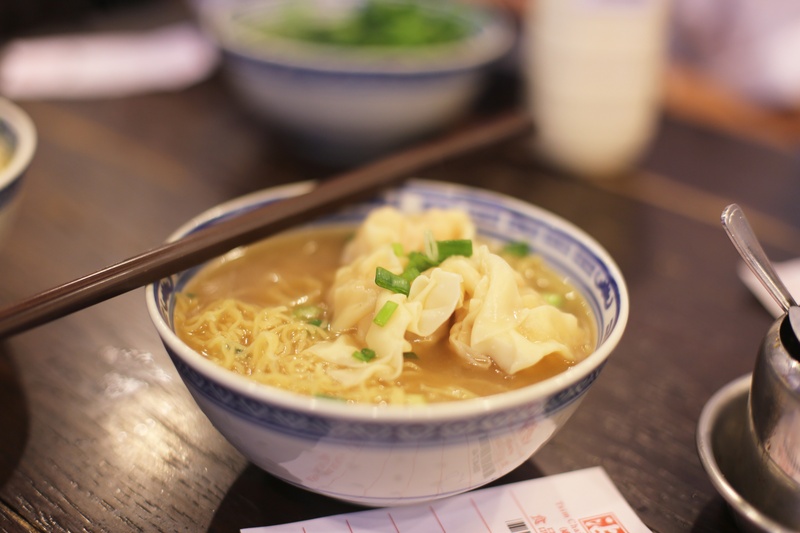 Her dad recommended we try a Michelin starred wanton noodle shop along Wellington Street, but without a shop name and an abundance of wanton noodle shops we decided to venture into the one with the longest queue. 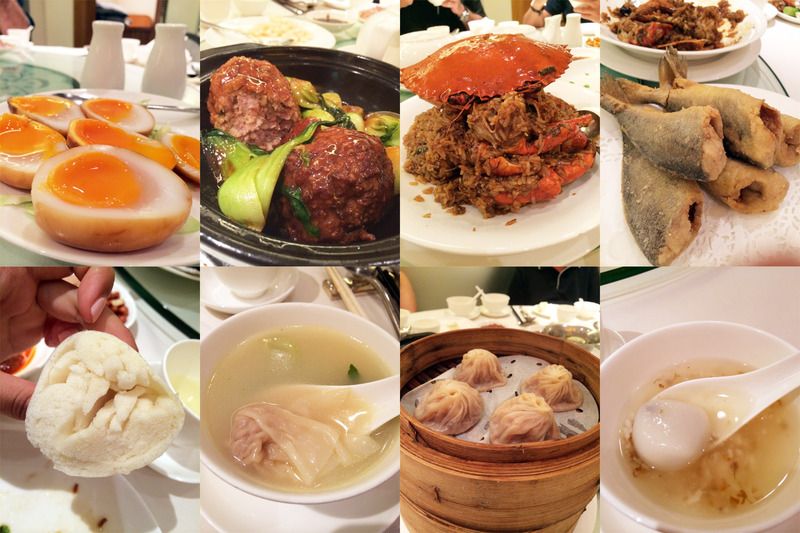 My Mother’s friend took us to Liu Yan Pavilion – a Shanghainese restaurant in the Wan Chai district of Hong Kong – which he personally held with very high regard. After a long day of trawling through the seemingly endless Citygate Outlet mall, a big traditional meal was exactly what I craved. 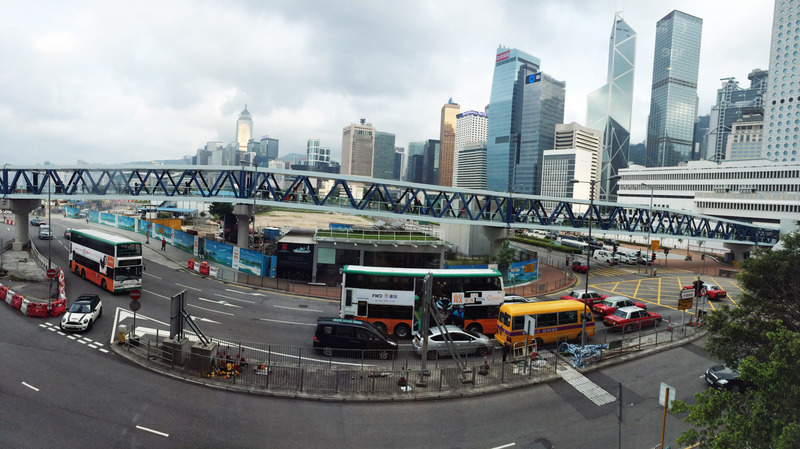 Last weekend I tagged along on one of my Mother’s work trips to Hong Kong with the sole purpose of eating, shopping and relaxing. Considering my jeans felt a little tighter, that I fear the day my Mother receives my credit card statement and that I spent every evening in a bathtub, my “goals” can be deemed successful. A short trip meant a lot of careful meal related decision-making and planning, but it was a fruitful one at that. 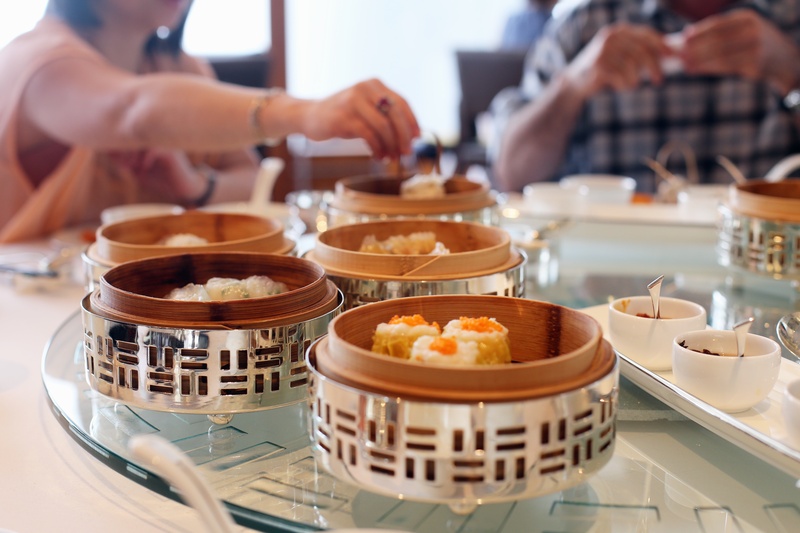 Although not every meal was worth documenting, my culinary highlights varied between a bowl of noodles at a street-side coffee shop to Dim Sum lunch at the Four Seasons hotel. I’ve picked out a few of my favorite and more memorable meals to feature in a series of posts to follow. In celebration of my last IB exam, my Mother treated me to lunch at Sushi Ichi, with a very nondescript exterior and easily missed in the almost empty Scotts Square mall. Hailing from Ginza, Tokyo, the Michelin starred Sushi Ichi offers a delectable degustation menu at several price points ranging from $60/pax to $250/pax. One may also opt for the full Omakase wherein the customer is able to voice their preferences, therefore the price may vary according to what is selected. 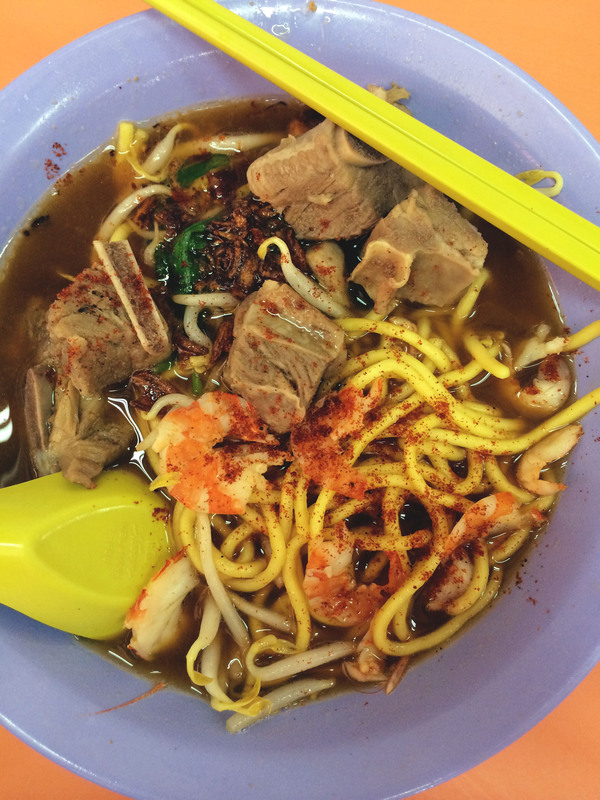 A spur of the moment decision this past weekend led me back to Blanco Court Prawn Mee, a stall I haven’t visited in years but has recently left me disappointed. I think the absence (yes, a lack of prawn noodles is considered a significant absence) of this stall from my life led me to put it on a mental pedestal, thinking it to be something it really wasn’t. 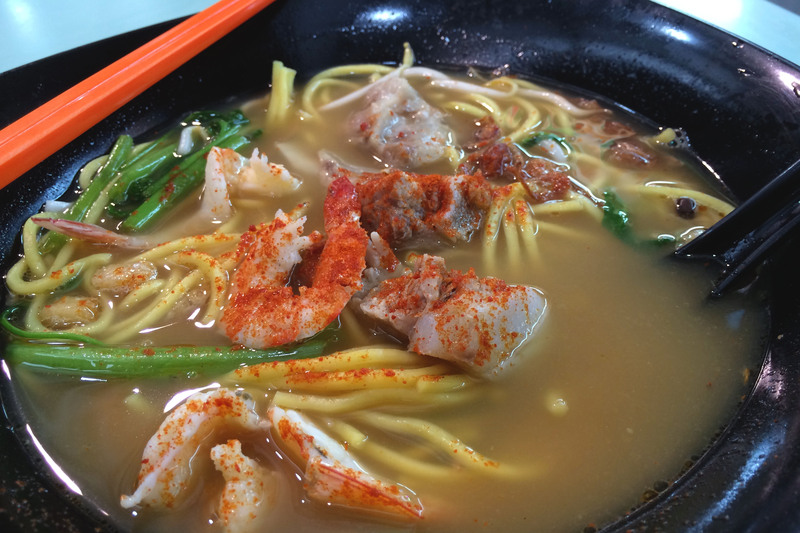 The Old Stall Hokkien Street Famous Hokkien Prawn Noodle has gradually made its way onto my favorites list, at first mainly out of convenience. In fact, the only reason why I hadn’t written about them sooner is the sheer unphotogenic nature of the dish – as pictured above – but it doesn’t impact the integrity of the food! The stall I most regularly frequent is located at Hong Lim Market & Food Center, due to my family’s love for the Bak Chor Mee stall in the same complex. As much as I love myself a good bowl of Bak Chor Mee, I still find myself gravitating towards the brightly lit red and yellow facade of the Old Stall Prawn Noodles.